Annually the Rotary Club of Soldotna uses proceeds from the Kenai Peninsula Beer Festival to fund several community projects. Some of these include the RAFT Fund which pays for travel to and from local hospitals and clinics for those who would otherwise have no transportation available. This need has grown in our community. We are proud to be able to help in this very basic way. We also annually donate to the Kenai Peninsula Food Bank. We were the first donator to People Promoting Wellness for a project to allow people access to a local pool for fitness purposes. Other projects include the Paint the Kenai mural project and the Rotary Unity Run. Since inception the goal of this festival has been to showcase the incredible beer that is produced around our state. We are honored by the presence of breweries from across Alaska. Furthermore, our hope is to create a fun outdoor atmosphere to sample craft brews while enjoying live music and delicious food. This festival has become a crowing moment for the end of our summer season in Soldotna. It is scheduled for a time in the summer when commercial and sport fishing is winding down. The city is getting a little quieter as the bulk of our summer guests depart for home. It has become a farewell to Summer, and welcome of Autumn on the Kenai. 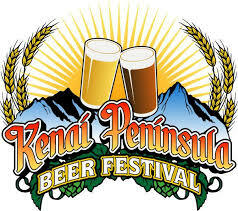 Undoubtably the Kenai Peninsula Beer Festival is the most successful single fundraising event the Rotary Club of Soldotna has. We are proud of the work we do for the local community and world. This festival’s proceeds are used entirely in local projects big and small.